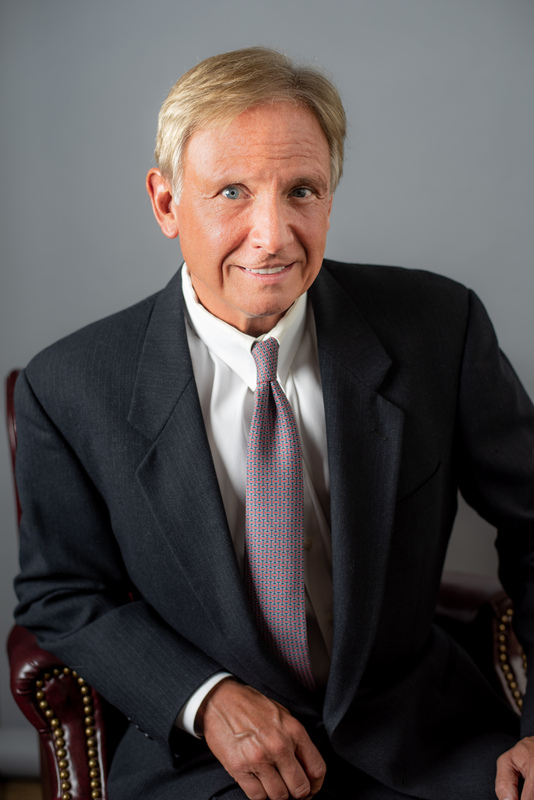 Randy Bynum offers clients extensive experience and comprehensive knowledge of issues businesses face in both the public and private sectors — a combination few lawyers can match. He also calls upon his unique perspectives of having worked in his family’s furniture business, training as a certified public accountant, holding public office and building a successful private practice in developing counsel to advance his clients’ legal objectives. His combination of business and legal acumen affords him an in-depth, firsthand understanding of the needs of his clients. Much of Randy’s practice focuses on utility, telecom and transportation regulation. He shepherds clients through compliance and regulatory processes, skillfully anticipating legal issues that could derail their goals. His expertise in this area was complemented by his four-year tenure on the Arkansas Public Service Commission. While on the commission, he served as treasurer of the National Association of Regulatory Utility Commissioners (NARUC) and vice chair of NARUC’s committee on gas. He was a member of NARUC’s executive committee, board of directors and several other committees. While a commissioner, Randy also served on the board of directors of the Financial Research Institute at the University of Missouri and the American Public Gas Association Security and Integrity Foundation. Before earning his law degree from The George Washington University, Randy worked for a large accounting firm in Tulsa. He practiced law in Washington, D.C. with the firm of Cleary, Gottlieb, Steen & Hamilton and in Little Rock, Arkansas with the Rose Law Firm. Early in his career, he also helped his family expand its furniture business. Randy was born in Pryor, Oklahoma and is a certified tribal member of the Cherokee Nation. In his spare time, he enjoys playing golf. Randy has three children — Olivia, Brooks and Barrett. IN THE MATTER OF NET METERING AND THE IMPLEMENTATION OF ACT 827 OF 2015, Arkansas Public Service Commission Docket No. 16-027-R. IN THE MATTER OF RASIER, LLC'S APPLICATION FOR A PERMIT TO OPERATE A TRANSPORTATION NETWORK COMPANY IN ARKANSAS PURSUANT TO THE TRANSPORTATION NETWORK COMPANY SERVICES ACT OF 2015 AND THE PUBLIC SERVICE COMMISSION'S TRANSPORTATION NETWORK COMPANY SERVICE RULES, Arkansas Public Service Commission Docket No. 16-020-U. IN THE MATTER OF A RULEMAKING PROCEEDING TO CONSIDER CHANGES TO THE ARKANSAS PUBLIC SERVICE COMMISSION'S POLE ATTACHMENT RULES, Arkansas Public Service Commission Docket No. 15-019-R. IN THE MATTER OF ARKANSAS ELECTRIC COOPERATIVE CORPORATION'S APPLICATION FOR APPROVAL TO JOIN THE MIDCONTINENT INDEPENDENT SYSTEM OPERATOR, INC., REGIONAL TRANSMISSION ORGANIZATION AS A TRANSMISSION-OWNING MEMBER, Arkansas Public Service Commission Docket No. 14-006-U. IN THE MATTER OF AN APPLICATION OF ENTERGY ARKANSAS, INC., MID SOUTH TRANSCO LLC, ITC MIDSOUTH LLC, TRANSMISSION COMPANY ARKANSAS, LLC, AND ITC HOLDINGS CORP., TO ENTER TRANSACTIONS RESULTING IN A CERTIFICATE OF PUBLIC CONVENIENCE AND NECESSITY FOR A NEW ARKANSAS UTILITY TO OWN EAI'S ELECTRIC TRANSMISSION FACILITIES, Arkansas Public Service Commission Docket No. 12-069-U. IN THE MATTER OF A COXCOM, LLC D/B/A COX COMMUNICATIONS AGAINST CARROLL ELECTRIC COOPERATIVE CORPORATION, Arkansas Public Service Commission Docket No. 11-173-C. IN THE MATTER OF PROMULGATION OF RULES IN ACCORDANCE WITH THE TRANSPORTATION NETWORK COMPANY SERVICES ACT OF 2015, Arkansas Public Service Commission Docket No. 15-052-R. IN THE MATTER OF THE APPLICATION OF RASIER, LLC FOR AN INTERIM PERMIT TO OPERATE A TRANSPORTATION NETWORK COMPANY IN ARKANSAS PURSUANT TO THE TRANSPORTATION NETWORK COMPANY SERVICES ACT, Arkansas Public Service Commission Docket No.15-063-U. IN THE MATTER OF AN INVESTIGATION OF POLICIES RELATED TO RENEWABLE DISTRIBUTED ELECTRIC GENERATION, Arkansas Public Service Commission Docket No. 16-028-U. IN THE MATTER OF THE APPLICATION OF ENTERGY ARKANSAS, INC. FOR A CERTIFICATE OF ENVIRONMENTAL COMPATIBILITY AND PUBLIC NEED TO CONSTRUCT AND OPERATE A 230 KV TRANSMISSION LINE AND ASSOCIATED TRANSMISSION FACILITIES IN JEFFERSON COUNTY, ARKANSAS, Arkansas Public Service Commission Docket No. 14-043-U. IN THE MATTER OF THE APPLICATION OF ENTERGY ARKANSAS, INC. FOR A CERTIFICATE OF ENVIRONMENTAL COMPATIBILITY AND PUBLIC NEED TO CONSTRUCT AND OPERATE A 230 KV TRANSMISSION LINE AND ASSOCIATED TRANSMISSION FACILITIES IN DREW AND DESHA COUNTIES, ARKANSAS, Arkansas Public Service Commission Docket No. 14-062-U. IN THE MATTER OF THE APPLICATION OF ENTERGY ARKANSAS, INC. FOR A CERTIFICATE OF PUBLIC CONVENIENCE AND NECESSITY TO CONSTRUCT, OWN, OPERATE, AND MAINTAIN A NEW 500 KV SUBSTATION AND ASSOCIATED FACILITIES IN CRAIGHEAD COUNTY, ARKANSAS, Arkansas Public Service Commission Docket No. 16-004-U. IN THE MATTER OF THE APPLICATION OF ENTERGY ARKANSAS, INC. FOR A CERTIFICATE OF ENVIRONMENTAL COMPATIBILITY AND PUBLIC NEED TO UPGRADE, RECONSTRUCT, AND OPERATE A 161 KV TRANSMISSION LINE WITH NAVIGABLE WATER CROSSINGS AND ASSOCIATED TRANSMISSION FACILITIES IN CLAY COUNTY, ARKANSAS, Arkansas Public Service Commission Docket No. 16-044-U. IN THE MATTER OF A SHOW CAUSE ORDER DIRECTED TO ENTERGY ARKANSAS, INC. REGARDING ITS CONTINUED MEMBERSHIP IN THE CURRENT ENTERGY SYSTEM AGREEMENT, OR ANY SUCCESSOR AGREEMENT THERETO, AND REGARDING THE FUTURE OPERATION AND CONTROL OF ITS TRANSMISSION ASSETS, Arkansas Public Service Commission Docket No. 10-011-U.